The origins of KCAS Pet Detective Program. From January 2016 through June of 2017 I volunteered for Kern County Animal Services. The new director declared he wanted his shelter “NO-Kill” by 2020 and I wanted to help. Volunteers are assigned dishwashing duties as they go through the probationary period. I perhaps performed my duties too cheerfully because I washed dishes for nearly three months. The Volunteer Coordinator and Director learned of my social media experience and challenged me to establish a Pet Detective program. 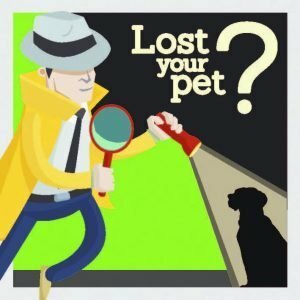 The goal of Pet Detective is to increase the “Return-To-Owner”, or RTO, percentage for the shelter. With the help of two other volunteers and a graphics arts student, we designed a logo, built a brand, and grew our Facebook Page to 2,500 followers in less than a year. We posted over 200 high-quality photos of strays brought into the shelter every month to this page that often had a weekly reach of over 20,000 views. But, I thought more could be done. Working within the bureaucracy of a government agency is difficult for me. I had owned and operated my own business for most of my adult life. If I had an idea, I tried it. If it didn’t work, oh well. I didn’t ask for permission, approval, and rarely advice. Animal Services always needs volunteers. I asked my supervisor if I could produce a recruitment video. He said yes, but let me know that I would have to get permission from the department before it could be released. I conceived the idea, filmed, edited, and produced the video below. There’s more that could be done. More I wanted to do. Resources for Animal Services are stretched thin and volunteers can’t always be held responsible. After 16 months, I left the Pet Detective Program in the capable hands of other volunteers. They have done a stellar job increasing the Facebook page to over 6,000 “Likes”. The Animal Services RTO percentage has gone up along with the adoption rate, which I feel is directly related to extra exposure the animals received on the Pet Detective page. Enjoy the recruitment video below.